In response to increasing challenges, Florida Power & Light realized that its existing change control tools – spreadsheets, manual forms and email – were no longer sufficient. Greater automation of its SAP change control processes were crucial to adapting to the growing demands. Florida Power & Light Company (FPL) is the third-largest electric utility in the United States, serving approximately 4.9 million customer accounts or an estimated 10 million people across nearly half of the state of Florida. Its highly-efficient power plant fleet is one of the cleanest among all utilities nationwide, fueling FPL’s recognition as one of the most trusted US electric utilities by Market Strategies International. FPL’s IT infrastructure has become increasingly complex to support its commitment to develop innovative, industry-leading solutions. Over time, challenges rose within the utility’s SAP landscape. The volume of SAP change increased rapidly, and problems such as overtakes, overwrites and collisions of changes – generated outside of production – threatened stability. With the challenges increasing, FPL realized that its existing change control tools – spreadsheets, manual forms and email – were no longer sufficient. Greater automation of its SAP change control processes were crucial to adapting to the growing demands. FPL’s IT team selected Rev-Trac change control automation technology to manage its SAP change management methods. The software demonstrated its capability to accommodate extremely fluid situations, providing the level of enforcement required to reduce high-risk tasks and streamline its audit processes to meet strict regulations. The utility had a number of specific goals it wanted to achieve with the automation of its SAP change control processes, accelerating the delivery of innovative products and services. Primarily, FPL wanted to support the adoption of agile and DevOps in its SAP environment through the use of Rev-Trac for workflow management, and conflict management via extended locking and the software’s OOPS (overtake overwrite protection system) functionality. To meet demands, FPL needed to accelerate its SAP change velocity and it saw Rev-Trac’s Release Management Workbench as the answer to the challenge. Additionally, the utility wanted to eliminate productivity-draining, manual tasks associated with SAP audits. A challenge for FPL’s IT team was the agility to control and release SAP changes from multiple environments. Rev-Trac’s change control automation platform provides FPL this much needed capability. The software fully automates the coordination of parallel object development, preventing downstream production collisions. Prior to the implementation of Rev-Trac, FPL was experiencing 20 plus potentially dangerous overtake and/or overwrites per month, threatening the stability of its SAP production systems. More than 75 per cent of these have been eliminated through Rev-Trac. This has saved FPL time and money, and significantly reduced the risk of systems outages. Automating its SAP change processes has slashed 90 per cent of manual effort and time spent on audit tasks. The utility has also cut manual retrofit efforts by up to 90 per cent. This has freed up manpower to be deployed on higher value, more strategic projects benefitting FPL customers. “We have given our users back a lot of time, so they can focus on more valuable tasks; and we’ve reduced error through eliminating our manual processes,” Mr. Richards said. This case study of Florida Power & Light Company is based on a March 2017 survey of Revelation Software Concepts customers by TechValidate, a 3rd-party research service. To continue to grow and scale, NGA HR needed to resolve a number of key issues with their SAP HCM systems. Too many changes were being initiated but not reaching production, change control processes lacked a level of control and enforcement, and were largely manual. This increased the risk of system failures, and scalability was impossible with so much manual intervention. Verizons goal is continuous audience growth. To help achieve the scale it desired, the communications company wanted to streamline its SAP environment, simplifying change control processes and improving production stability whilst adopting agile and DevOps principals for SAP change management. Fromageries Bel has agressive goals, aiming to double in size by 2025. 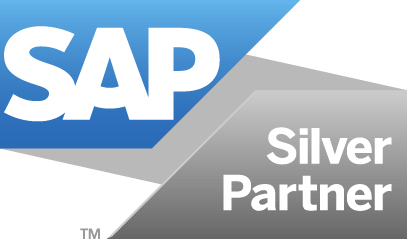 This required addressing a number of challenges within its SAP landscape. These include the development of a formal release management program to deliver projects with greater success to the business faster, and with fewer go-live errors.